Compatible with major cable ISPs, including XFINITY from Comcast, Cox Communications, Spectrum and more. 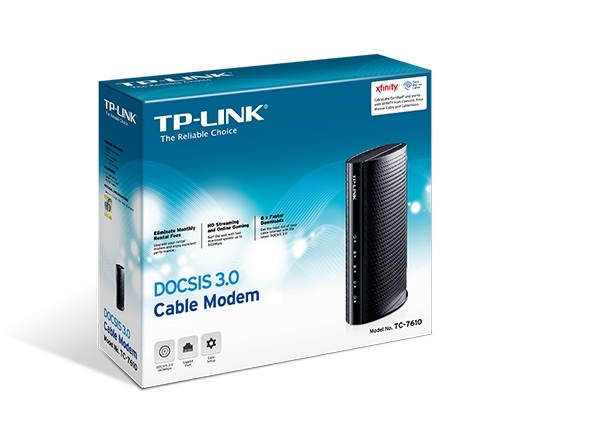 Owning your modem saves you the rental fees charged by many Internet Service Providers. 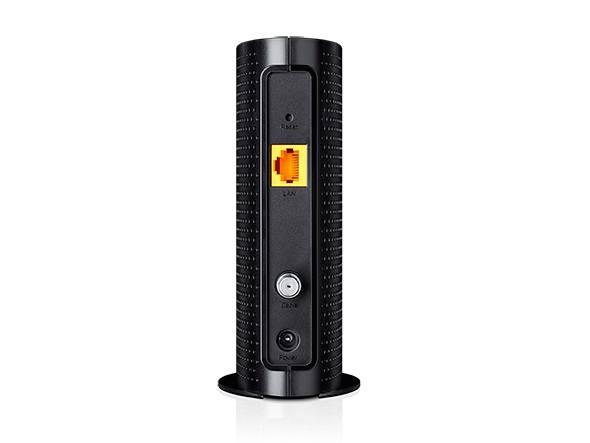 In fact, purchasing your own cable modem typically costs less than a year’s worth of monthly rental fees. The TC-7610’s CableLabs-certified DOCSIS 3.0 technology delivers speeds 8x faster than DOCSIS 2.0. 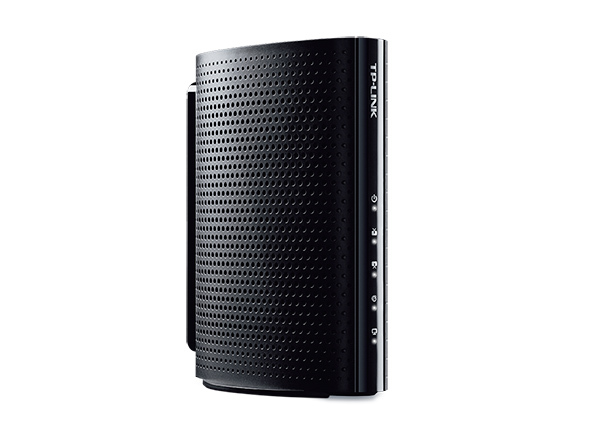 The modem also features innovative 8x4 channel bonding for even faster throughput. 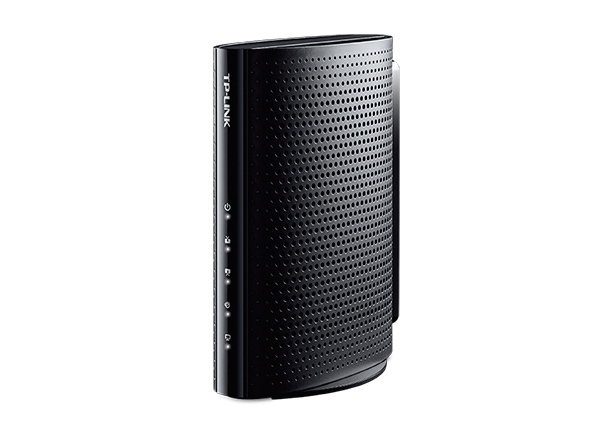 With 343Mbps download and 143 Mbps upload speeds, as well as a lightning-fast Gigabit Ethernet port, the TC-7610 lets you enjoy lag-free online gaming and HD streaming. *XFINITY from Comcast and Time Warner allow you to activate your modem through the self-activation wizards on their respective websites. *All registered trademarks are property of their respective owner. 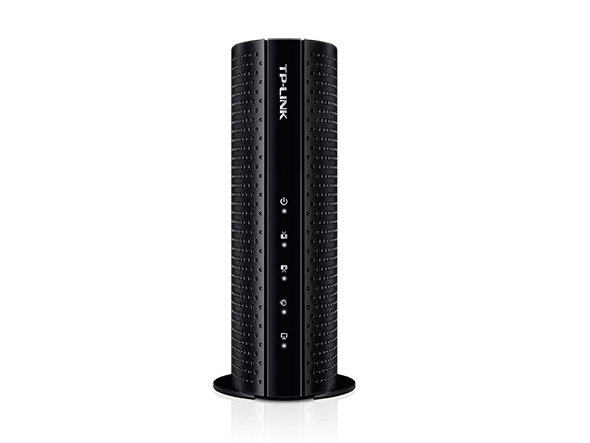 *Maximum cable internet uplink and downlink speeds are the transmission rates that the device is capable of and certified for based on CableLabs DOCSIS 3.0 technology. Actual cable internet uplink and downlink speeds are not guaranteed and will vary according to your cable provider, MSO provisioning, and the speed tier of your subscription. Some modems are not compatible with certain cable providers. Please check with your cable provider to verify whether this modem is compatible with their service. Broadband cable service is required to use this device. Not compatible with voice services.